This amazing family tour package is form the Travel Planners a well reputed tour company of India, which will give you an utmost cheer when you travel with your family and friends. Kerala is a hotspot of Indian tourism and the places that cover with the package will give you the feeling on how beauty the places could be. Enjoy the holidays with this package. Here are the details of itinerary of the travel. On arrival at the Kochi International Airport or Railway Station you will be welcomed by the representatives and will take you to the Villa Romantica hotel. After refreshment, visit Athirapally Waterfalls and Vazhachal Waterfalls. 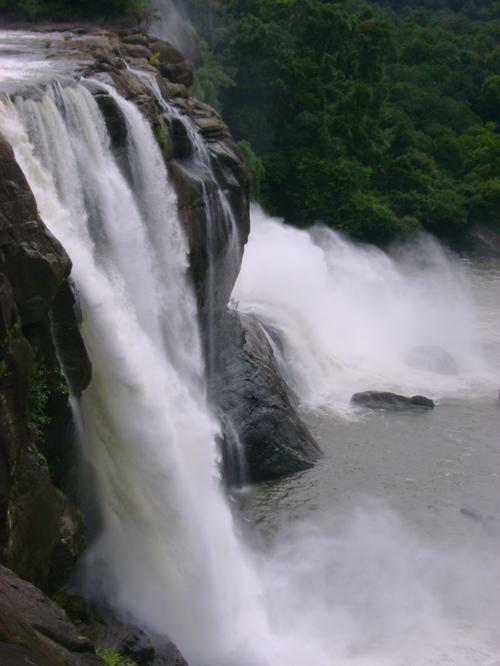 The Athirappilly waterfalls are situated on the Chalakudy River. It is located at 78 kilometers from Kochi and is about 80 feet high. The Vazhachal waterfall is situated on the edge of the Sholayar forest range in Kerala and is a part of the Chalakudy River. Come back to the hotel and stay overnight. After having breakfast, check out the hotel and drive to Munnar. On the way to Munnar you can see many wonderful waterfalls in the high mountains describing its own beauty and make you speechless. The low flying clouds coming from the deep valleys and passing through you is realy a soul touching view. After arrival at Munnar, check into the Deshadan Mountain Resort. In the afternoon you can make a sightseeing tour at Munnar and visit the beautiful tea gardens spread over an area of hundreds of kilometers. Here the population is very lees and the place is pollution free. Come back to the hotel and stay overnight. After having breakfast trip for a full day sightseeing tour in Munnar and visit Raja Malai- the highest peak of Munnar, Tea Museum, Mattupetty & Echo point. 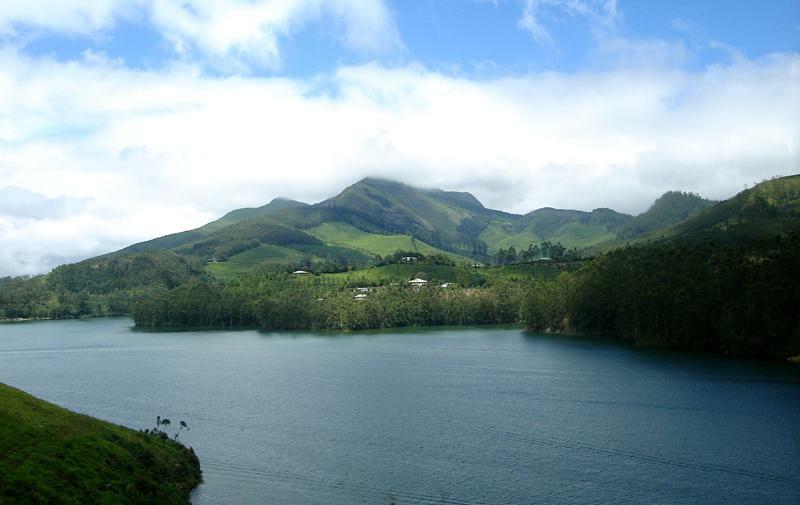 Mattupetty is 13 kilometers away from Munnar where you can see the Mattupetty Lake and Dam surrounded by wooden hills and tea gardens. Boating facility is also available in the Lake. Echo point is 15 kilometers from Munnar. In this place you can enjoy sound reflection by shouting out into the air, the multiple echoes that ring back at you. Come back to the hotel and stay overnight. After having breakfast, check out the hotel and move to Thekkady through Cardamom hills. After arrival at Thekkady, check into the Wild Corridor Resort. In afternoon visit spice plantation like cardamom, peeper, coffee and tea estate in the nearby area and you can buy some fragrant spices from the local market. Come back to the hotel and stay overnight. After having breakfast, drive to Alleppey. This town is situated in Alappuzha district of Kerala. This place has lots of canals, backwaters, beaches and lagoons. Here you can see the boat race and can enjoy cruise in the peaceful backwaters in a traditional houseboats. On arrival at Alleppey, check into the Punnamada Resort and stay overnight. After having breakfast in the hotel check out and move directly to Cochin airport or railway station and starts your onward journey. It is a very important place in Kerala. The photos are very beautiful and you describe all about the tour of Munnar, Vazhachal, Athirapally. Your all postings are very valuable. will try the best to continue the post, in product and resource sections, of interesting ones.